Finding perfect colour matches is what we’re famous for. Get expert guidance from the best makeup artists. 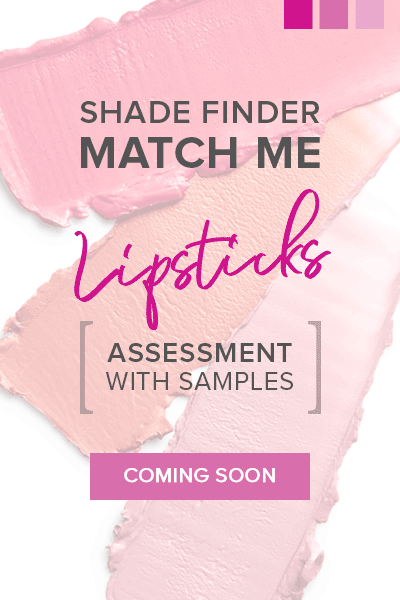 We’ send you samples to test on lips and give you money back in the form of a foundation voucher. We are making your shopping and checkout easy. If you are new to online makeup shopping with us, it’s not recommended to select colour from screen or colour charts. In addition, perishable cosmetic items, cannot be returned due to public and safety regulations. See our ‘Help’ tab to find out how we can assist you with colour matching, so you too may enjoy the convenience of online shopping.